A residence in the Gulf Coastal Plain’s Quaternary deposits of sand- and clay-rich soil experienced a variety of structural damages including plasterboard fractures, mortar separation, bulging windows, and foundation fractures. Examination of the upper structure damage, the foundation, and the soil was undertaken. The western portion of the residence was less damaged than the eastern, and the foundation at the southeast corner of the residence supported less weight than the other areas of the foundation. The soil sample collected from the southeast area had a higher moisture content than the others. There was no buffer zone between the foundation and the bearing soil, and the drainage from the foundation was inadequate. 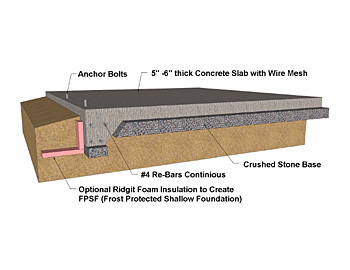 A soil swell of 1.85 inches can potentially exert a force of 2600 pounds per square foot, raising and damaging the foundation.